Sub-Saharan Africa is the second worst global region when it comes to the mobile gender gap, and the gap is not closing. It found that women's ownership has increased since 2014 and the number of women who own a mobile phone has risen by over 250 million. "Over 80% of women in LMICs have a phone, which is amazing, and most women access the Internet on their phone. 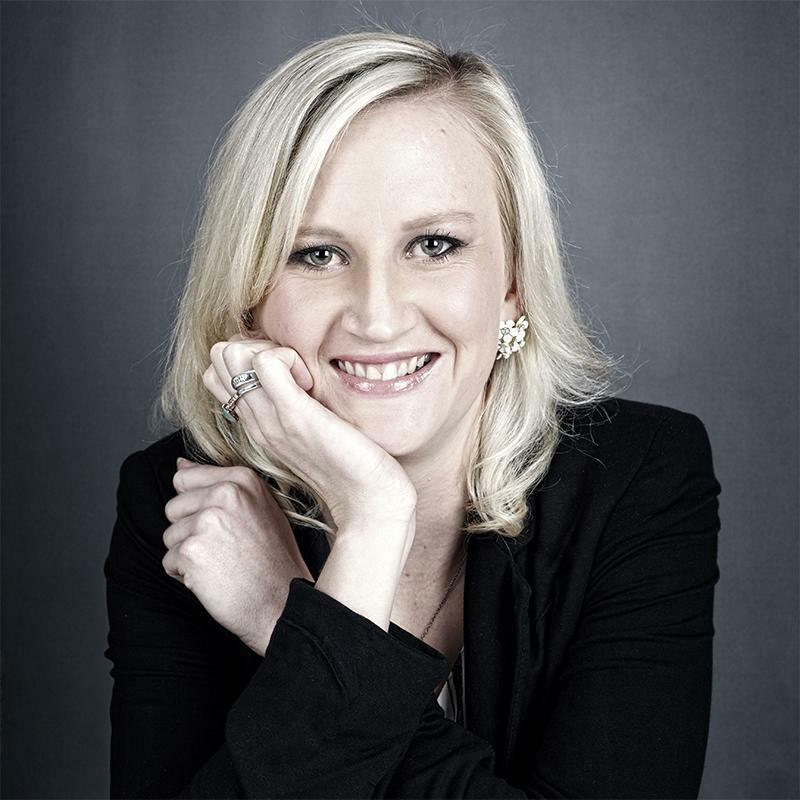 So it's really changing lives and is the tool that is most accessible but while that's impressive, there's still a very big gender gap," Claire Sibthorpe, head of Connected Women at GSMA, told ITWeb in an interview. The report's findings are based on the results of over 20 000 face-to-face surveys commissioned by GSMA Intelligence across 18 LMICs. The mobile gender gap varies by region and country, but is widest in South Asia, where women are 28% less likely than men to own a mobile and 58% less likely to use mobile Internet. In LMICs, rates of mobile ownership and mobile Internet use are highest in Latin America and more developed Asian markets such as China. Mobile remains the primary means of Internet access in LMICs, particularly for women, and 48% of women in these countries now use mobile Internet. However, the mobile gender gap persists and women in LMICs are 10% less likely than men to own a mobile, which translates into 197 million fewer women than men owning a mobile phone. Across LMICs, 313 million fewer women than men use mobile Internet, representing a gender gap of 23%. With uptake of mobile Internet growing quickly, there is some evidence this wide gender gap has narrowed from 26% a year ago. Rural areas also tend to have lower mobile penetration than urban areas and, as previous GSMA research has found, the rural gender gap is also wider in almost every country surveyed. "Reaching the 433 million women in LMICs who are still unconnected will require concerted stakeholder effort and coordination," the report says. "We are seeing countries with higher penetrations of mobile overall have a lower gender gap. But unfortunately, mobile access is slowing in terms of growth, which is not a positive sign for reducing the gender gap," Sibthorpe says. "I think the research highlights that the gender gap is not going to close on its own. If you look at the data, that's not what's going to happen. We need to focus on it." In Sub-Saharan Africa, only 29% of women use mobile Internet and the gender gap in mobile Internet use is the second worst at 41%. That equates to 200 million African women not using mobile Internet. "In Africa, the mobile ownership gap was 15%, which is 5% higher than the average. In terms of Internet, it gets bigger in certain countries. We didn't survey every country, but the biggest gap of the countries we looked at in Africa was Mozambique. The women in Mozambique are 59% less likely use mobile Internet. "Then you also see some interesting urban-rural splits in Africa. For example, in Tanzania, women in urban areas are 31% less likely to use the Internet but they're 65% less likely in rural areas," Sibthorpe told ITWeb. When you look at the countries in Africa surveyed, South Africa has the smallest mobile gender gap in terms of ownership of just 4%. In SA, 87% of men own mobile phones and 83% of women. The worst mobile ownership gender gap is in Mozambique (24%), followed by Tanzania (11%), Cote d'Ivoire (9%), Kenya (6%), then Algeria (5%) and Nigeria (5%). In Asia, the numbers are worse, with Pakistan having the highest mobile ownership gender gap of 37% followed by Bangladesh at 33% and India at 26%. In contrast, China has no mobile gender gap at all. When we look at mobile Internet usage in SA, women are 15% less likely to use mobile Internet than men. Algeria has the lowest gap in mobile Internet usage of 7% followed by SA. From there the numbers jump up dramatically with high mobile Internet gender gaps in Nigeria (29%), Kenya (39%), Cote d'Ivoire (47%), Tanzania (52%) and finally Mozambique (59%). The major barriers to mobile ownership and mobile Internet use for women are affordability, literacy and digital skills, a perceived lack of relevance, and safety and security concerns. The report found that affordability, particularly of handsets, is the top barrier to mobile ownership, while literacy and digital skills are the main factors limiting mobile Internet use among those who are aware of it. Although awareness of mobile Internet is growing in most markets, it remains consistently lower for women than men. The mobile gender gap extends beyond ownership and access because even when women own a mobile phone, they use a smaller range of mobile services. This is the case across almost all LMICs, according to the report. The usage gap is also reflected in mobile spending. Across LMICs, female mobile owners spend on average 17% less than men on mobile services. This spending gap is evident even in countries where there is not a gender gap in mobile ownership or mobile Internet use. "I think the real issue is that there are still structural problems around women having lower education, lower income and a lot of social norms in some countries where it's perceived to be not acceptable for women to have a phone or go online." Some of these social norms are particularly at play in South Asia, she notes, which is why there is a much bigger gap in that region. "So I think there are these structural issues with things like affordability and digital skills, because of these underlying structural inequalities between men and women," Sibthorpe explains. When asked what can be done to change these structural inequalities, Sibthorpe acknowledged it is hard and the mobile industry needs to advocate for change, and governments and other stakeholders need to take steps to address these issues. "What we can do is we can at least try and recognise that these issues exist, and also we advocate quite strongly that you need to have a specific focus on women and that's what our research is hoping to highlight. "Because if you don't think about the wants and needs of the women in your market, how can you possibly design anything for them? And if you are just gender blind, then you're going to have this gender gap because you're not realising that actually maybe women don't want to go to the very male-oriented location to get their phone topped up, or maybe training is not relevant because they're not literate, etc. So you need to understand what the issue is and you need to tailor it. So it's really important to have context-specific data so people can look at what's in their country and then address it accordingly. "I also think both men and women need to take action, to ensure the females in their family have equal access." Sibthorpe says the mobile gender gap is obviously a huge issue but also presents a huge opportunity. "If we were able to close the mobile Internet gap in LMICs, you could add an extra $700 billion (R10 trillion) in GDP to the economy of these countries [over five years]. That's huge, right? And it also makes huge commercial sense for our members, our operator partners; it's a huge revenue opportunity because women are half the potential customer base." The GSMA predicts that if mobile operators could close these gender gaps in LMICs by 2023, this would provide an estimated additional $140 billion (R2 trillion) in revenue to the mobile industry. Despite the bleak numbers, Sibthorpe says progress is being made. "In 2016, we launched what we called the Connected Women Commitment Initiative. We invited mobile operators to make commitments with targets for 2020 to close the gender gap in either mobile Internet or mobile money. And we have 52 commitments and they've now reached over 16 million women with new services." She says some of what the industry is doing includes working on partnerships to make handsets more affordable, digital skills initiatives, having more female sales agents and a lot of work around safety and security for women online. Mobile money is another area showing real change in digital inclusion for women. "If you look across mobile money usage, across LMICs, women are 33% less likely than men to use mobile money and in Africa it is a bit better at around 26%. In countries like Kenya [where mobile money is very active] it goes down to about 10%. "In a number of countries where mobile money is established, it is driving financial inclusion. So there are more women with mobile money accounts than bank accounts in a number of markets. So that's really positive. So while there's a gap, it is also really providing financial inclusion for women and there's evidence of that."